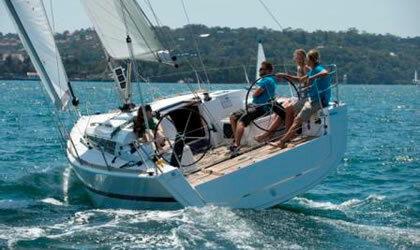 This is a great sailing boat being described as “sporty and fun”! 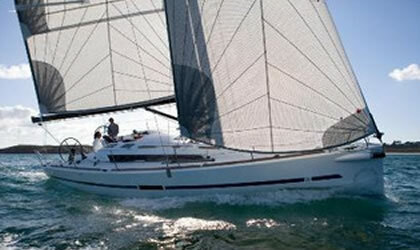 It is very comfortable and designed for easy sailing. It has a wide open cockpit which is great for entertaining. Inventory: All safety equipment, chart, galley gear, fridge/icebox, enclosed bathroom with hot water & shower, VHF radio, stereo radio with iPod or memory stick connectivity, GPS charter plotter, fold down swim platform and ladder, anchor winch. Dinghy, children’s life jackets and awning available on request. Linen available at additional cost.